Where's the China Olympics audience? All round the world, every eye has been glued to the television for the world's greatest sports spectacle: the 2008 Olympic Games. Almost anything else can, and has, happened without distracting viewers; John Edwards took the opportunity to finally 'fess up to his affair, the Russians invaded Georgia, but for most Americans at least these otherwise interesting nuggets do not even rise to the height of Yao Ming's shoe. But for all the astronomic popularity of watching them, the events don't seem to have quite the same draw on actual physical spectators. One of the odder aspects of the Chinese Olympics must surely be the vast sea of empty seats we keep seeing on TV. How could this be? We've been hearing stories of the hundreds and thousands of visitors from overseas, all clamoring for their piece of history as China comes of age. We've heard stories about tickets running out. Yet the seats sit there empty while thousands of ticket-less would-be occupants presumably lament outside. What happened? In a Communist totalitarian dictatorship so obsessed with good press that they rounded up anybody remotely likely to protest during the Olympics and shipped them out of town for the duration, we cannot reasonably expect that a true explanation will be forthcoming. As countless journalists - even Western ones - have discovered, it can be hazardous to dig into a story in China that the authorities would rather not have dug into. Safely ensconced in our American offices, though, we can certainly theorize; so here's our theory. Make of it what you will. As you ponder our thoughts, please remember that working conditions in China are utterly different from what we find in the US or in Europe. In Western countries, employers find it difficult to get rid of unproductive employees; the EEOC lawyers stand ready to insist that an employer continue to pay somebody he no longer wants on his payroll. In China, depending on the power level of the person who doesn't like you, you can go to jail or be summarily executed. One of China's top musicians, an internationally-recognized pianist, spent years in "re-education." The guards wouldn't let him near a piano; part of his punishment was supposed to be his mental agony at feeling his skills fade away, but he was back on the international concert circuit less than a year after they let him out. His secret? As he spent long, long days mixing manure into the soil of the prison garden with his bare hands, he mentally ran through his entire piano repertory, over and over. Reviewing each and every note and move in his mind kept his muscle memory current enough that he was able to play again far sooner than anyone had expected. Every Chinese who knows his story knows that bucking bureaucrats can be hazardous, not just to your career, but to your health and to life itself. 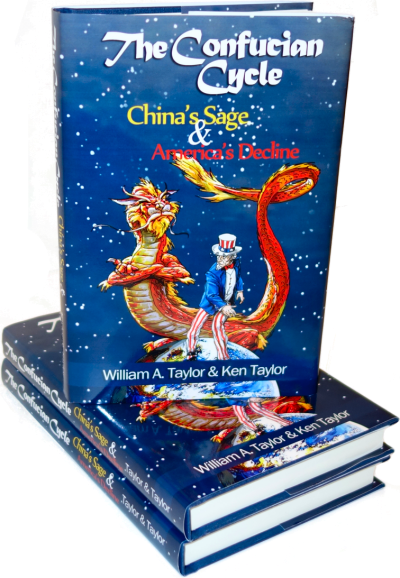 This is the Chinese tradition of drawing a strong separation between the rulers and the ruled: never the twain shall meet. The "Forbidden City" got its name for a reason. It is not a part of the Chinese tradition for the government to be answerable to the people. Quite the reverse: the people had better answer the government if they know what's good for them. It wasn't so long ago that the Chinese government summarily shot the head of their equivalent of the FDA which regulates drug approval, manufacture, and distribution in the US. He had taken substantial bribes to go easy on drug manufacturers. Meeting government requirements is expensive, it's much cheaper to pay bureaucrats to look the other way. Americans might think that he was shot for bribery. Not so - bribes are a perk of office. He was shot because tainted drugs killed enough people to hit the American press. The bureaucrat wasn't shot for taking bribes or for killing people - every Chinese official does that. He was shot for making the country look bad. This is reminiscent of the "Globe rule" which was promulgated by my college administration. If a student did something bad but it wasn't too bad, the malefactor could usually stay in school and keep paying tuition, but anything that made the pages of the Boston Globe couldn't be hushed up. Make the Globe, you're gone. In China, it's OK to steal money, put people in jail, or shoot them, that's part of the perks of power, but it is not OK to make the government or the country look bad. If you read news articles about dissident bloggers being arrested, they're usually put away for "besmirching the honor of the Chinese nation" or some such. Bloggers get busted for breaking the Chinese version of my alma mater's old Globe rule. Shooting the bureaucrat for embarrassing the emperor is also in the Chinese tradition. We've pointed out that Confucius believed that the emperor's main job was to find bureaucrats who weren't serving the people and chop their heads off to encourage the others to straighten up and fly right. Embarrassing the emperor clearly doesn't serve the people; off with his head! Alas, Mr. Bush can't fire a bureaucrat who embarrasses him or even cut his pay. Everybody in China knows that their government officials would stop at nothing, bulldoze neighborhoods, round up protesters, kill as many construction workers as necessary, to look good in the eyes of the international community. If not, it's their heads on the line, and at that level, nothing else matters. The mystery of the empty stands is exactly what we'd expect from bureaucrats working under those conditions. It wasn't so very long ago that the great and the good of Europe, most notably President Sarkozy of France, were talking about boycotting the Olympics because of how badly the Chinese were treating the Tibetans. This was, after all, China's great, grand, and glorious coming-out party. What if they spend billions on a world-class party and nobody came? How would they explain cameras panning over acres of empty seats? Although the people at the very top of the pyramid have a pretty good idea how Western media shape public perception, the lower levels probably believed that reality actually mattered to American media. They believed that the sight of empty seats would tarnish the image their bosses wanted to project. They heard about possible boycotts, they heard that their security people were taking a very close look at anybody who wanted to visit China, they realized that many foreigners who had lived in China for years were being turfed out so they couldn't talk to journalists, and they began to worry. What if the stadium is empty? If there are too many empty seats on TV, I'll lose my head. So they did something about it. We soon heard about ticket shortages, nobody could get any tickets. More visitors came than were anticipated; they started complaining about not being able to get tickets, but we still see acres of empty seats on TV. The Chinese built humongous stadiums, filled with countless seats. A bureaucrat started to sweat - "What happens if we get too many boycotts and nobody show up?" Acres of empty seats would accentuate the ideological gulf between the Chinese and everyone else. China put billions into making this show look like their transition to Western-style democracy transition. They needed democratic citizens to come, visit, and merge with their own people. Like Obama's "crowds" at the Brandenberg gate, the perception of crowds, not actual crowds, is what counts. China has an advantage over Obama: they're the government, they get to publish crowd estimates which are whatever they want them to be. Other bureaucrats caught on to the possibility of a boycott and got worried. After all, they live in a command-and-control system. Suppose that a huge bunch of Chinese were planning to visit France for some sort of get-together. If the President of China told the Chinese, "Changed my mind, do not visit France," how many Chinese would stay home? Most if not all of them. France doesn't work that way, of course, but the Chinese are so used to following top-down orders that they suspected that if a Western president said not to go to the Olympics, nobody would. So they panicked. Someone tapped into a government checking account and started buying loads of tickets, handing them out to state workers by the hundreds - or maybe they just printed them, who knows? The word was spread, "Give them to your friends and family and show up. Free hot dogs and beverages too." After all, the press isn't open or free in China, their stunt would not be reported as it would have been over here. At the beginning of August, the threatened boycotts evaporated. The hoped-for throngs of thousands of foreign tourists started showing up, plunking down their dough, and demanding sports tickets. We began to hear inexplicable rumors of ticket shortages. Then hundreds of thousands more and more visitors arrived, or so they say, pouring off the jumbo jets at Beijing's spanking-new world's largest airport terminal. The ticket systems all ran out. After all, hundreds of thousands of tickets were already removed from inventory and given to the locals and were thus no longer available for sale. The bureaucrats, knowing what they had done, didn't bother creating more tickets because they knew they couldn't round up all the local ones. The last thing they wanted was a riot between angry sports fans with duplicate tickets; they have recently had similar problems with airline reservations and it wasn't pretty. They simply had to let the supply run out. Someone realized "Hey, we can use this to show everyone had great the demand is." Why not? No more tickets, and there's no way to get the others back. And China doesn't care about profit anyway. They spent $40 billion to build everything in the first place. The locals saw the surges in the street and at the airports and in the cabs. They figured that there were more than enough regular visitors to pack the stands. Besides, they're paid regardless of whether they go or not. Maybe a little scalping? 10% of the locals actually go, leaving 90% of the tickets unused, sitting on the nightstands of Chinese bedrooms all over the country. And we see acres of empty seats on TV. So by taking a sneaky proactive action, the bureaucrats made the problem worse. Hmm, sounds familiar! Apparently, one billion Chinese are still not quite enough to keep every last detail working according to plan. May we point out that a top-down, command-and-control approach just might not be the best way to do everything?